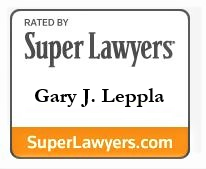 Gary Leppla - In The News - Leppla Associates, Ltd. 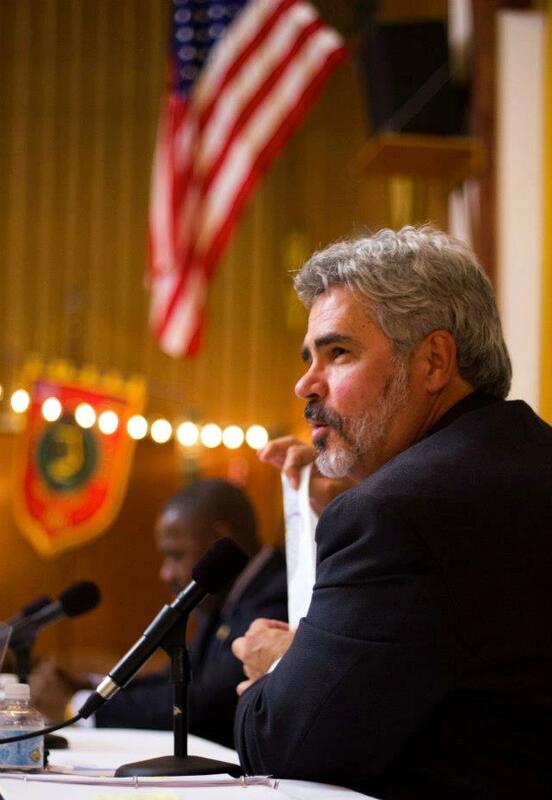 This article was written by Kimball Perry, kperry@enquirer.com of the Cincinnati Enquirer. SPARTA – Behind the wheel of a souped-up speed monster, Stephen Cox roared down the pavement when his car slammed into a concrete wall, injuring the 30-year-old so badly that he died a week later. Despite the severity of that Sept. 14 crash, police weren’t called. Instead, police found out about it the next day from emergency medical workers. The frustrated county coroner found out by watching a television sports show. “We had no idea until we saw it on ESPN,” Gallatin County Coroner Susan Hughessaid of the crash that, seven days later, proved fatal. “It’s just not a good situation. I’ve never been in this situation before” where local authorities weren’t contacted after a crash. •It occurred at the Kentucky Speedway, 42 miles southwest of Cincinnati just off Interstate 71, but involved amateur drivers. They paid hundreds or thousands of dollars to drive 500-horsepower cars at speeds up to 140 miles per hour around a bumpy, 1.5-mile, steeply pitched professional race track aided by a crew working for a company with a safety record that has been questioned. •A police investigation wasn’t started until a month after the crash. The office ofGallatin County Sheriff Josh Neale wasn’t required to investigate because there was no evidence of a crime. “Nobody did anything wrong,” Neale said. •It exposed a gap in Kentucky law. Because the crash occurred on private property during a private event, track officials legally weren’t required to notify police. Track officials called to have Cox airlifted to University of Cincinnati Medical Center, where he lived for seven days. The crash has left many unanswered questions: What caused the crash? Was it driver error or a car malfunction? Were amateur drivers trained well enough before they took the cars out to drive at twice the legal speed limit? Who is to blame? Why weren’t police called? Those are questions the Cox family wants answered, but may not get, perhaps because of a potential lawsuit by the Cox family against the track and the Rusty Wallace Racing Experience, the company that held the event. Drivers pay from $249 for three laps to a full 50-lap NASCAR experience for $1,899. The RWRE has had 150,000 drivers participate over the last three years, Bill Coady, the company’s director of sales, said. “This shouldn’t have happened. This is unthinkable,” Gary Leppla, the Dayton, Ohio, lawyer representing the Cox family, said of the death. While Kentucky law spells out when police are to be contacted about car crashes on public roads, Burlington lawyer Wes Williams said police aren’t required to be notified if the crash is on private property. Williams noted “there aren’t that many race tracks” in Kentucky, so the issue rarely is raised. The Gallatin County Coroner wasn’t called because while Cox was injured in that county, he died seven days later in Hamilton County. Neither did Neale, who didn’t conduct an investigation into the death until Linda Tally Smith, the commonwealth attorney for Boone and Gallatin counties intervened. “He didn’t get involved until the commonwealth’s attorney told him to,” Leppla said. Usually, the oval track that opened in 2000 hosts races for professional drivers and teams in professional racing associations, but it also can be leased for other events. Cox, a Decatur, Indiana, pharmacist, received a gift certificate for his birthday for the Sept. 14 event. His was the first death at the track of a driver, track officials said. Photographer Ed Reinke died at the track in 2011 after falling and hitting his head while covering a professional race. RWRE and the few similar companies like it across the U.S. and Canada charge amateurs to drive professional race cars around professional tracks. What they don’t do, the lawyers for Cox’s family and a Michigan lawsuit allege, is provide professional training and safety for those amateur drivers. Before he jumped into the stock car for his final conscious moments, Cox received from the Rusty Wallace Racing crew “a half hour, 45 minutes of training, like a classroom setting,” Leppla said, adding that was completely insufficient for the speeds and dangers involved. After the classroom training session, Cox put on a racer’s suit and helmet and, hoping to learn something before he got behind the wheel, rode as a passenger as another driver ran several laps. Cox then got into the car assigned to him, two RWRE employees put on his seat belt and he sped off. In his third lap, Cox barreled past the pits and approached what would be the first turn on a non-oval track. The car dived toward the concrete wall on the low side of the track, smacked into it and bounced into the concrete wall on the track’s upper rim, before it weakly rolled back to the bottom of the pitched track. Despite several attempts by The Enquirer, track officials didn’t respond to questions about who called for emergency medical services, which service was called and if the track has a protocol for calling for emergency medical services after crashes. Track officials have spoken to Neale’s office. Both track employees contacted for this story by The Enquirer and workers for RWRE stressed that Cox’s death was a tragedy, but they would say little about it. Kirkland, the lawyer for the track and RWRE, noted the event is dangerous, the drivers know those dangers and have signed waivers that he believes holds the track and RWRE blameless. Kirkland talked to the Cox family, their lawyer and the sheriff. Neale believes his office and the track should develop a plan for such incidents because of the track’s importance to Gallatin County, which dubs itself the Motor Sports Capital of Kentucky.Gallatin County Judge-executive Ken McFarland said the track adds millions of dollars annually to Gallatin County coffers in property, sales and payroll taxes. TheGallatin County Chamber of Commerce will have its Friday Christmas Party at the track. Neale, 39, is a former Florence Police officer elected in 2010 to a four-year term as Gallatin County sheriff. He was re-elected in November to head the nine-officer department. His office went to the track days after the Sept. 14 crash. They saw tire skid marks and that concrete was missing from the wall where Cox crashed, but it already had been repainted. They also took pictures and statements. Because RWRE moved the car after the crash, Neale or his investigators will have to fly to Rhode Island to inspect it. “We have to do an investigation. That’s just to cover the bases,” Neale said, stressing, “at this point, I’ve not seen any criminal negligence” in the deadly crash. He and Cox’s family have walked the track looking for potential evidence. In a few days, they will do so again, this time with their hired expert on cars, auto racing and tracks. Leppla also is concerned about the waivers drivers have to sign to participate. There’s a legal, ethical and moral difference, Leppla believes, between a driver’s signing a rights waiver for what is supposed to be a fun event and private companies’ taking racers’ money but being so negligent in the maintenance and safety of the cars that people are injured or killed. Meanwhile, the Rusty Wallace Racing Experience has five events scheduled in 2015at the Kentucky Speedway. The accident involving Cox isn’t the only one involving the Rusty Wallace Racing Experience. A pending 2012 Michigan lawsuit accuses the company of egregious safety violations that caused amateur driver Jose Gonzalez to be badly injured in a crash in July of that year. Gonzalez, a Spaniard, was driving at the Michigan International Speedway in an event where amateur drivers can drive professional race cars, the suit alleges, when the steering wheel came off in his hands. At the time, the car was going 120 miles per hour into a turn. 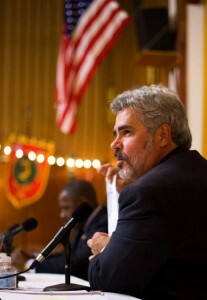 In the crash, Gonzalez suffered two broken legs and other injuries. In the suit, Gonzalez accused RWRE of not locking the steering wheel to prevent it from detaching. The steering wheel has to be taken off for drivers to get into the car but is supposed to be reattached and locked in. He also accused RWRE, after the crash, of destroying the car and a videotape of the crash. Many of the company’s employees have no racing experience, are chosen on race day and aren’t trained as the company claims, the suit adds. Lawyers for the Rusty Wallace Racing Experience disagreed and are fighting against the case’s going to trial.